Where are some of the best places to drop? Apex Legends might be a new game, but that doesn’t mean the main objective is any different from other battle royale titles. Players want to quickly loot up, pick up some kills, and survive to be crowned the champion. In order to reach that ultimate goal, however, you’ll want to pick a good landing spot so you can safely loot and prepare for the fights ahead. The game is still incredibly young, so it’s likely that some main points of interest will change over time. 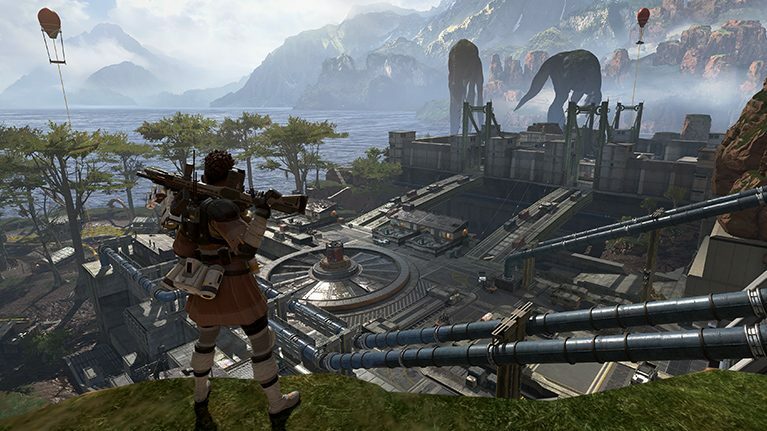 But, so far, here are some of our favorite landing spots in Apex Legends. 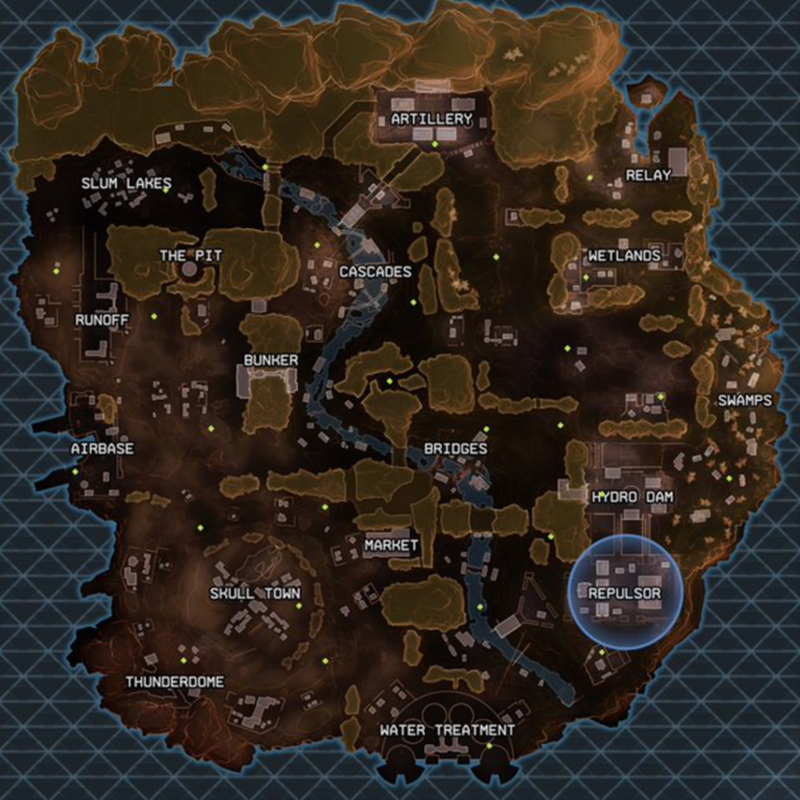 In each game of Apex Legends, there’s a blue circle on the map that indicates the Hot Zone—an area that provides high-tier loot and the chance for a fully-kitted weapon. The Hot Zone will be in a different location each game. The specific Hot Zone for a particular game is usually one of the most highly-contested landing spots on the map. Multiple teams will head to this area in the hopes of getting a really strong weapon and great loot in the early stages of the game. This makes wherever the Hot Zone is one of the best landing spots for aggressive players who are going for high-kill games. Another dynamic area on the map that’s often highly-contested is the Supply Ship. This ship is also in a different location each game, generally hovering around the map and carrying a decent amount of loot. Depending on where the Supply Ship is in relation to your drop ship, you can either end up fighting multiple teams for control or you can get the whole thing to yourself. This is definitely a high-risk, high-reward landing spot in most situations. Aside from the two dynamic landing spots listed above, Airbase is one of our favorite locations so far in Apex Legends. It’s located on the far west side of the map, which means there’s generally very few (or no) enemy teams landing here—so you can get all the loot for yourself. There’s often a ton of loot at Airbase, too, in the few buildings, supply bins, and the actual planes. If you land here, you can normally quickly get a gun to take out any teams that join you. Or, if you go to Airbase and only your team landed there, you can stock up on tons of loot and prepare for the late game. Market is another great landing spot that offers a lot of solid loot. This area is also basically located in the middle of the map, which makes it easy to rotate based on the way in which the ring closes. One or two teams may join you at Market, but generally, it’s not an extremely populated area, despite its central location. Land in the main building and spread out to the surrounding structures and supply bins to quickly loot. If you’re looking for another relatively-quiet landing spot, Thunderdome could be the place for you. Located in the southwest corner of the map, this area generally isn’t highly-contested—which means you can have all the loot to yourself. You can normally quickly loot Thunderdome and then rotate to Skull Town. Skull Town is a much bigger area, and there will often be at least one enemy team here—so once you’ve found some guns and armor at Thunderdome, you can head here to pick up some kills.